Is there a mouse squeaking in my 17-35mm lens? About a while ago my favorite lens started to make squeaking noises whenever it focused. I decided to have it serviced at the Nikon Service center in KL then and it looked like the AF-S motor needed to be replaced. Now all the problem is gone and it works fine. Though I started to think about it and look it up on the Internet and see if anyone else had encountered the same problem. To my surprised it seemed like this lens its very well known for this squeaking focus problem. It seems to me that this problem stems from either a batch of lousy AF-S motor used on the lens at the time it was made or poor Q&A. Though I can’t be sure but seriously, I only went to have it serviced since it was not being used if I was on a vacation then I would have simply ignored it as the problem goes away after a while of use and only turns up again if you didn’t use it overnight. It really isn’t much of a problem even if you have the squeaking focus problem on it. It can still focus fast and accurately though not silently anymore. I considered this one of my favorite lenses and I’m so glad I bought it! Works very well on FX/35mm and you can even fit a filter on it! Unlike the 14-24 lens! 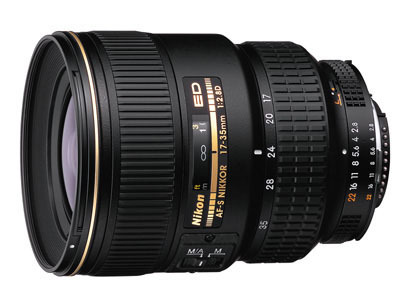 Though now you can get the 16-35mm VR f/4 for a lot less. But heck, I still love this lens! It seems now a lot of people are selling this lens off to get the 16-35mm so if you’re in the market for a good wide lens, grab one! This entry was posted in GearReview. Bookmark the permalink.